Cardinal Thomas Christopher Collins was born and raised in Guelph, Ontario, where his father was the circulation manager of the Guelph Mercury and his mother was a legal secretary. He is the only son and the youngest of three siblings. His childhood home was situated behind The Church of Our Lady, where he attended and served morning Mass. Cardinal Collins considered being a teacher or a lawyer but was profoundly inspired by his Grade 11 English teacher, Father Newstead, at Bishop Macdonnell Catholic High School who knowing him suggested that he should consider the priesthood. In 1969 he obtained a Bachelor of Arts (English) from St. Jerome College in Waterloo. In 1973 he obtained two degrees, a M.A. (English) from the University of Western Ontario and a Bachelor of Theology from St. Peter’s Seminary in London, Ontario. That same year he was ordained to the priesthood on May 5, 1973 in the Cathedral of Christ the King, Hamilton, by Most Reverend Paul Reding. While studying in Rome, specializing in sacred scripture and the Book of Revelation, he received his Licentiate in Sacred Scripture from the Pontifical Bible Institute in 1978 and a Doctorate in Theology from the Gregorian University in 1986. After holding various academic appointments, in 1997 he was appointed as Bishop of Saint Paul, Alberta. Two years later, he was named the Archbishop of Edmonton. In 2001, while in Edmonton he was named Apostolic Administrator of Saint Paul and held these positions until he was appointed in 2007 as the Archbishop of Toronto. 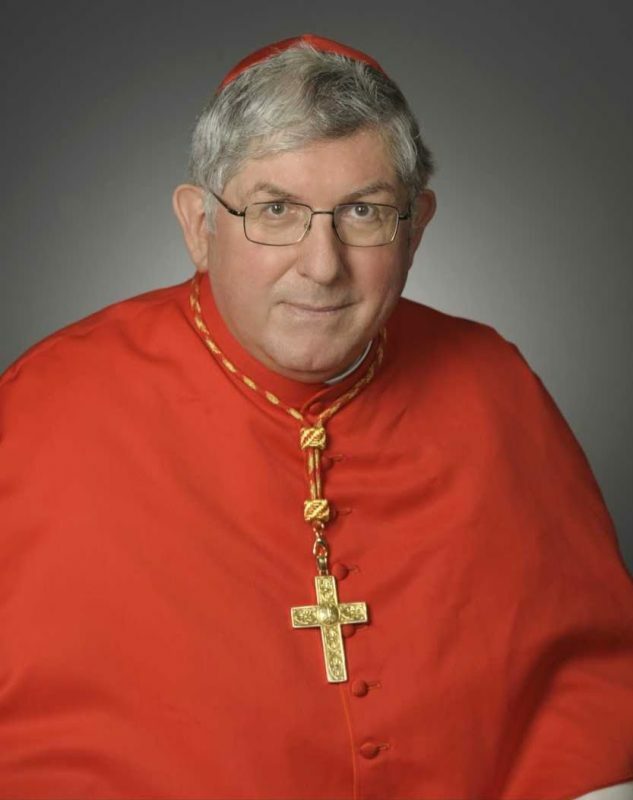 In 2007 Cardinal Collins became a member of the Canadian Conference of Catholic Bishops Permanent Council, the Chancellor of the University of St. Michael’s College and the Pontifical Institute of Mediaeval Studies, in Toronto. He is the Chair of the Board of Governors of St. Augustine’s Seminary and the Chair of the Board of Directors of Redemptoris Mater Missionary Seminary, Catholic Charities and Catholic Cemeteries and is a Trustee of ShareLife’s Advisory Board. In 2008, Archbishop Collins was elected President of the Ontario Conference of Catholic Bishops. On January 6, 2012, Archbishop Thomas Collins was named Cardinal by Pope Benedict XVI. The Consistory for his elevation to the position of Cardinal took place in Rome on February 18, 2012. Thomas Collins is the fourth cardinal in the history of the Archdiocese of Toronto and 16th in Canadian history.